Home » Posts Tagged "Fort E."
Revisiting time reversal and holography with spacetime transformations. Bacot, V., Labousse, M., Eddi, A., Fink, M., & Fort, E. (2015). 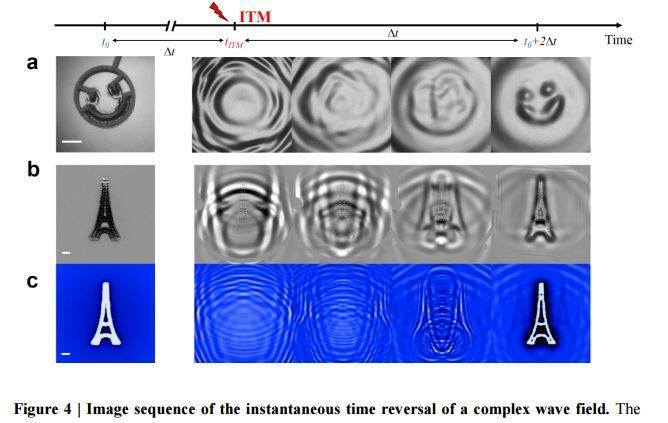 Revisiting time reversal and holography with spacetime transformations. arXiv preprint arXiv:1510.01277. Wave control is usually performed by spatially engineering the properties of a medium. 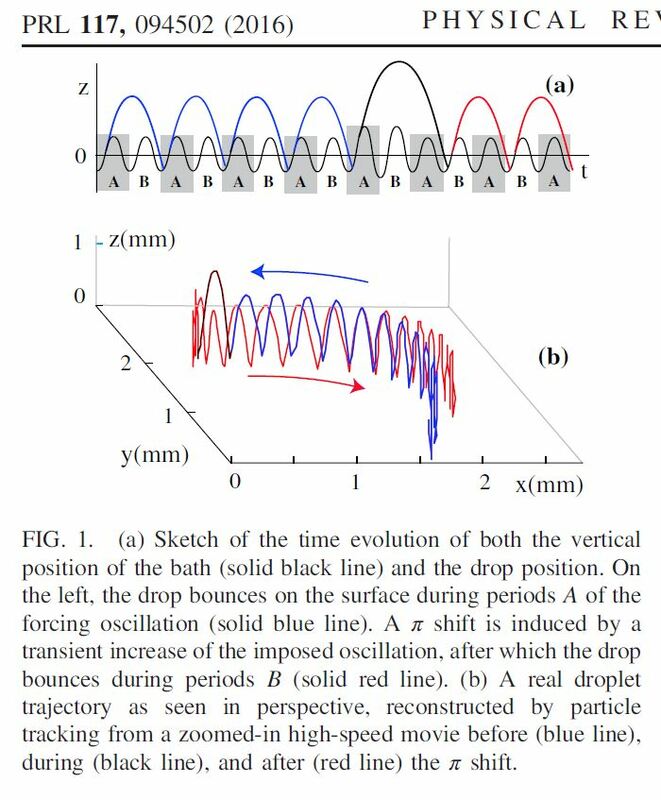 Because time and space play similar roles in wave propagation, manipulating time boundaries provides a complementary approach. Here, we experimentally demonstrate the relevance of this concept by introducing instantaneous time mirrors. We show with water waves that a sudden change of the effective gravity generates time-reversed waves that refocus at the source. 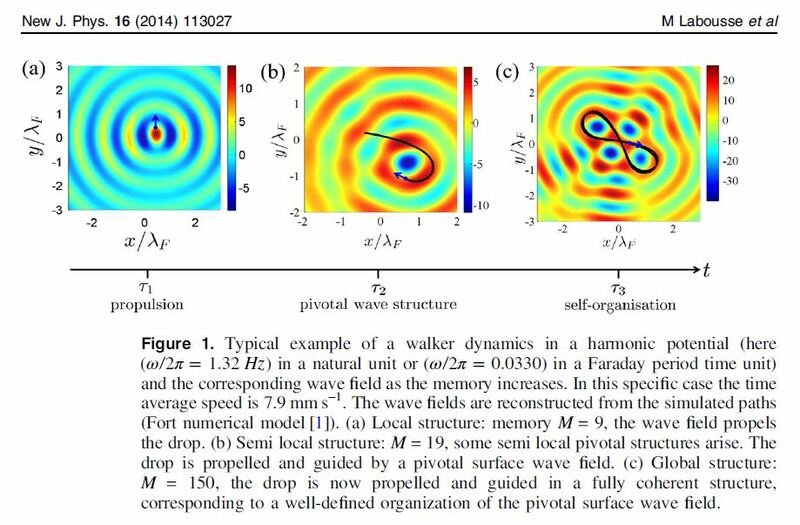 We generalize this concept for all kinds of waves introducing a universal framework which explains the effect of any time disruption on wave propagation. 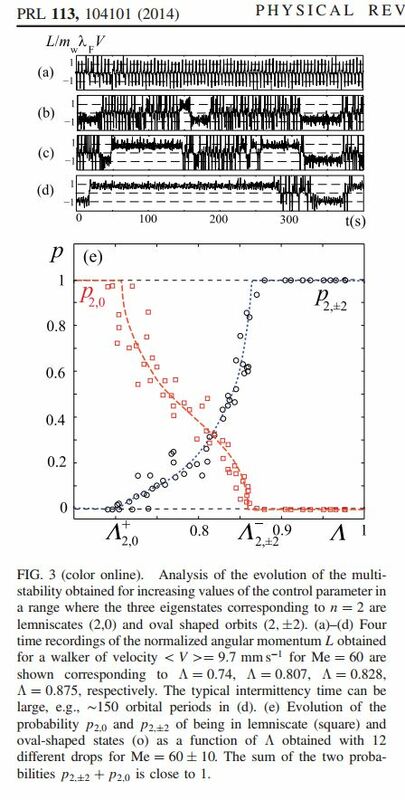 We show that sudden changes of the medium properties generate instant wave sources that emerge instantaneously from the entire space at the time disruption. The time-reversed waves originate from these “Cauchy sources” which are the counterpart of Huygens virtual sources on a time boundary. It allows us to revisit the holographic method and introduce a new approach for wave control. 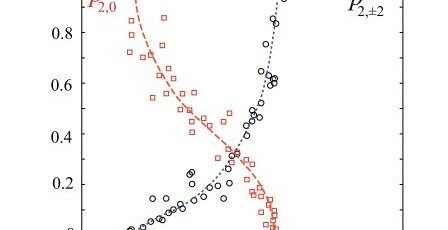 Couder, Y., & Fort, E. (2012, May). 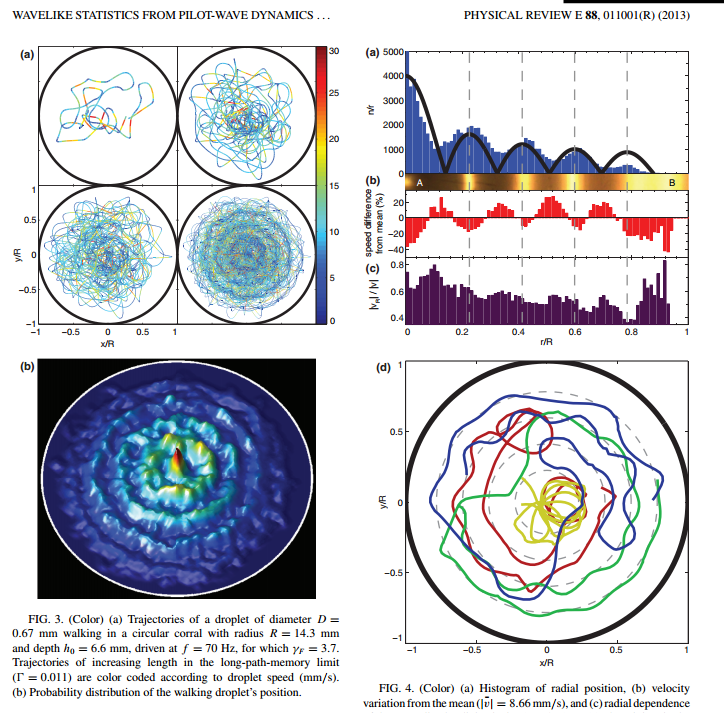 Probabilities and trajectories in a classical wave-particle duality. In Journal of Physics: Conference Series (Vol. 361, No. 1, p. 012001). IOP Publishing. Eddi, A., Sultan, E., Moukhtar, J., Fort, E., Rossi, M., & Couder, Y. (2011). 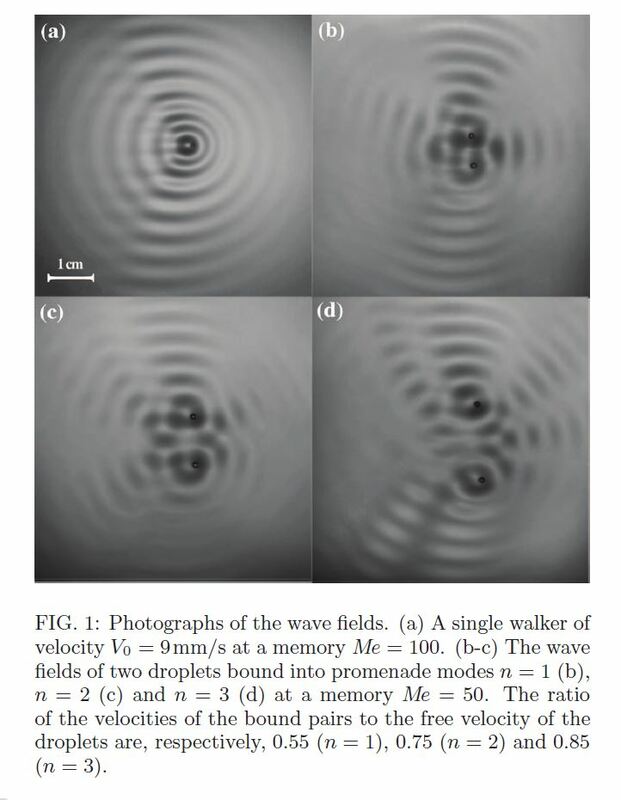 Information stored in faraday waves: the origin of a path memory. Journal of Fluid Mechanics, 674, 433. Eddi, A., Fort, E., Moisy, F., & Couder, Y. (2009). Unpredictable tunneling of a classical wave-particle association. Physical review letters, 102(24), 240401. Couder, Y., & Fort, E. (2006). Single-particle diffraction and interference at a macroscopic scale. Physical review letters, 97(15), 154101.